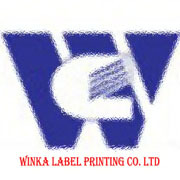 WINKA LABEL PRINTING CO. LTD is a specialized printing and packaging company , we want to set the standards in our industries. Through revolution rattan evolution, and solutions we create sustainable value for our customers. We provide printed packaging service to various renowned brands. Our head company located in Hong Kong, and our factory located in Guang Dong. We had successfully obtained ISO9001: 2008, FSC ,G7 , QS food packing, certification etc. With our rich experience in printing packaging more than 15 years, we help customer to promote their products & brand names, we can supply various products specially design Luxury packaging gift boxes, handle bag, notebooks, thick cardboard storybook, plastic trays, clear plastic box, trademark sticker and so on.